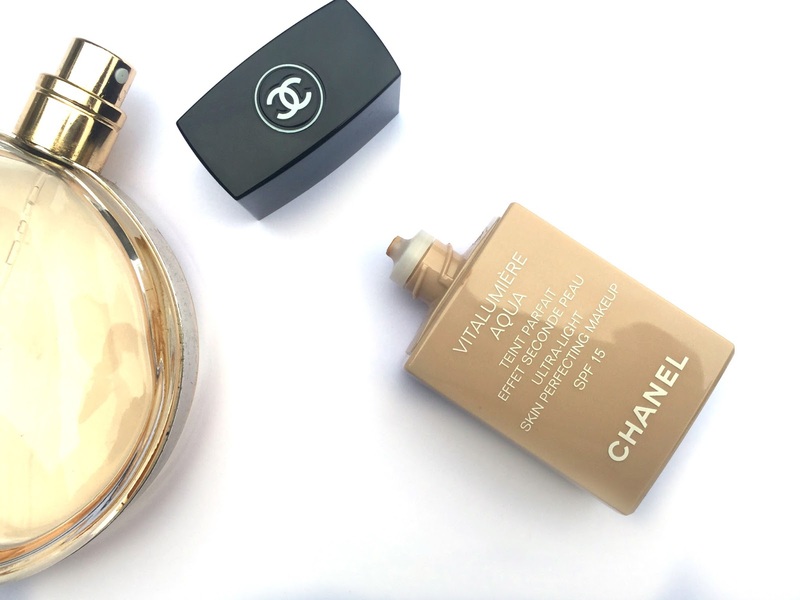 First things first; I have purposely avoided trying Chanel Vitalumière Aqua Foundation for one simple reason: I was terrified I was going to like it and that would only eventuate in me shelling out to purchase it. 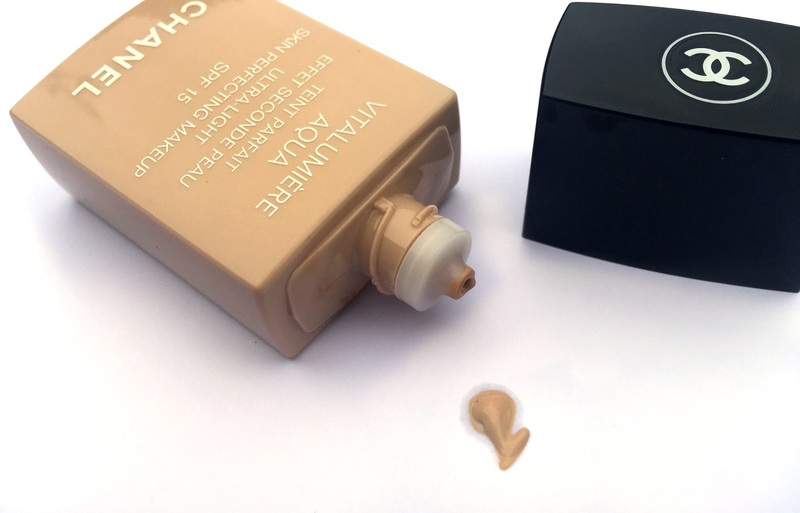 It's one of those foundations that's both loved and loathed- for some the coverage is too light and watery and it's been reported that the formula is prone to sticking to any flaky bits of skin, and we all know that's not the look you want to achieve with any foundation let alone a luxury one. At the other end of the scale, some say it leaves their skin dewy and luminous and the lightweight consistency makes blending a quick and easy task, leaving a fresh and natural finish. Annoyingly, I'm sitting firmly in the latter camp. I love this foundation, dammit. I love the natural yet polished finish it gives my complexion. I love the touch of luminosity it seems to add and I love the very watery, light consistency. It feels virtually weightless on the skin and I'm weirdly looking forward to wearing it during the summer- and I can't stand foundation in hot weather as a general rule. I find it blends really quickly and there is no need to use a beauty blender- I tried that initially and the blender just sort of sucked it up- and fingers do the job perfectly for a light to medium coverage. Vitalumière Aqua has an SPF of 15 but I would wear a separate SPF underneath in spring/ summer. The foundation contains Hyaluronic Acid derivatives (yay) for hydration as well as 'Lotus Water' and a Brown Algae derivative to promote toning and give an energizing effect. I'm not sure how much of an effect the skincare ingredients will have long term but the addition of 'High Definition Light Pigments' provide the superficial hint of luminosity that make this a great foundation. I have a bit of a love/hate thing going on with the packaging. Yes it's convenient and light and compact and therefore brilliantly portable (and the squeeze-ability of the tube makes it easy to dispense the right amount) but on the other hand, this is Chanel and a part of me feels a little disappointed that the bottle isn't made of thick, weighty glass, impractical as that may be. If you're going to spend on designer, you want it to sort of look designer, if you know what I mean? This is a bit like wearing a plain T Shirt that nobody would know is actually Chanel unless they looked at the label inside. At £34, this is not the cheapest foundation out there but it's also not the most expensive and I see it as a pre-baby treat to myself. After all, if I'm going to have baby sick in my hair at least I'll have Chanel on my face. 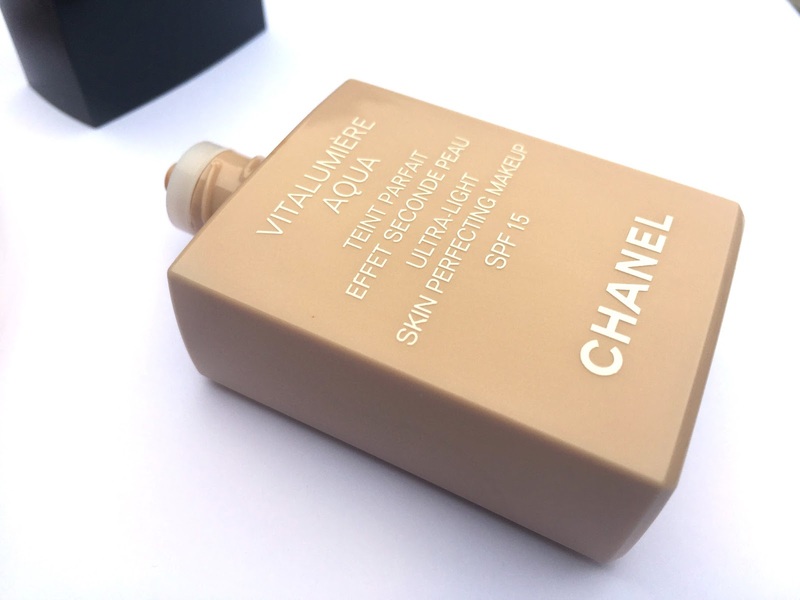 Chanel Vitalumière Aqua Foundation is available at Boots (where it seems to actually be priced at £33) House of Fraser and other Chanel stockists in store and online.